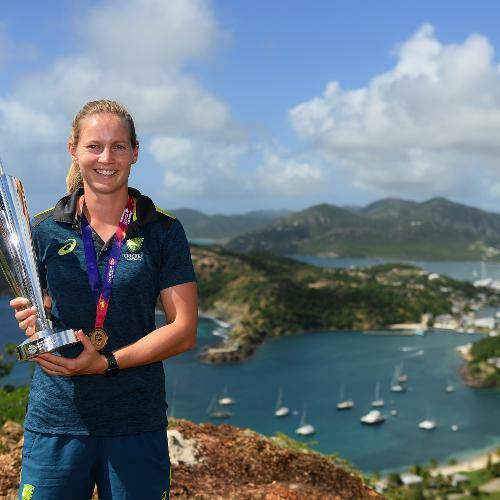 Meg Lanning, Captain of Australia poses with the trophy during the Winning Captain's Photocall - ICC Women's World T20 2018 at Shirley Heights Lookout on November 25, 2018 in Antigua, Antigua and Barbuda. 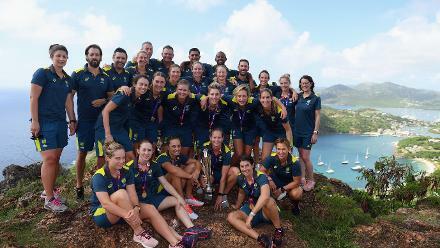 The Australia playing and coaching staff pose for a photo with the trophy during the Winning Captain's Photocall - ICC Women's World T20 2018 at Shirley Heights Lookout on November 25, 2018 in Antigua, Antigua and Barbuda. 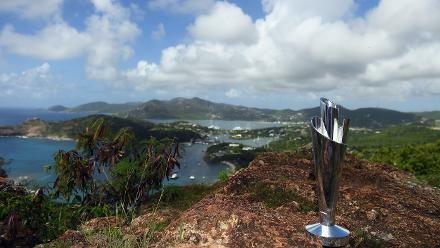 Detailed view of the trophy during the Winning Captain's Photocall - ICC Women's World T20 2018 at Shirley Heights Lookout on November 25, 2018 in Antigua, Antigua and Barbuda. 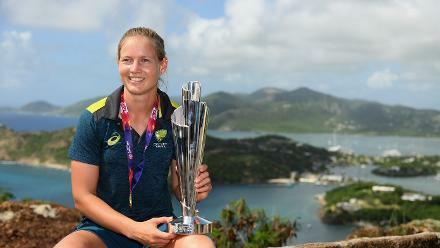 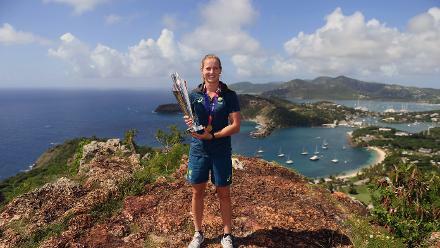 Meg Lanning of Australia poses with the trophy during the Winning Captain's Photocall - ICC Women's World T20 2018 at Shirley Heights Lookout on November 25, 2018 in Antigua, Antigua and Barbuda.